A Cornish Pixie as imagined in the Harry Potter Chamber of Secrets movie. Not so handsome but certainly mischievous. These days, when someone goes on about pixilation or being pixilated, they are probably talking about problems with their digital photos or some kind of Photoshop software glitch. Before the computer age, however, being pixilated was a polite way of saying a person was a bit soft in the head—delusional, demented, or just plain crazy. But it was not always so. Time was people took pixilation seriously, for it meant the Pixies had put a spell on you—a quite unfortunate turn of affairs generally. 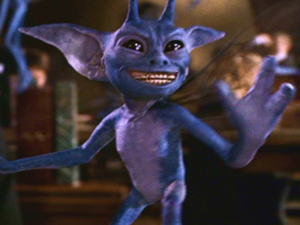 Devotees of the Harry Potter series may picture Pixies as small winged creatures with a bluish cast who are prone towards mischief. While not entirely accurate, that is still a step up from the Victorian stereotype of cutesy winged diminutive females who flit about flowers and such. It was the rather arch things that Victorian children’s writers did to the Fairy Folk that led J. R. R. Tolkien to ban all such things from his portrayal of the Elvenkind. In truth, the ability of the Fair Folk to play with human’s minds in various ways and alter our perception of reality goes far beyond what Tolkien chose to portray. While still relegated to the realm of fantasy literature, there are enough accounts floating about in the literature to make a case for various such fey folk being real—or perhaps more accurately, inhabiting their own reality. 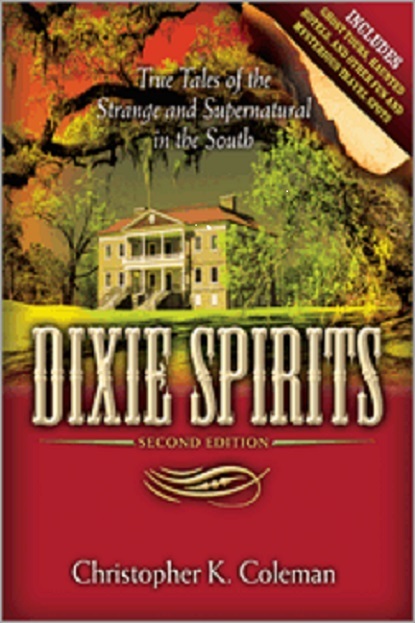 While I normally devote space here to Southern paranormal mysteries and phenomena, since much of Southern culture and belief is derived from the Celtic realms of the British Isles, I hope I shall be pardoned from devoting today’s discussion to a well known case of pixilation from Cornwall—or at least it was well known in the seventeenth century. 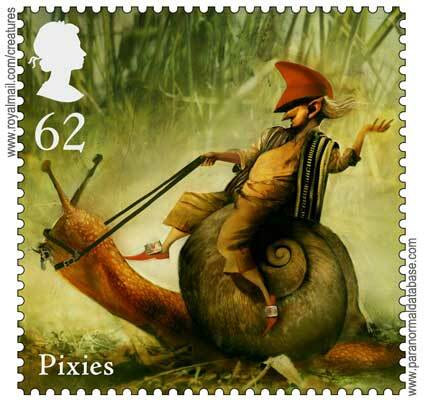 A pixie with red cap according to HM Royal Mail. Anne Jeffries, we are told, was an illiterate girl who entered the service of the Pitt family of St. Teath, Cornwall, when she was nineteen. She was fascinated by the stories of diminutive fairies common to the region and would venture into the night looking and calling out for them. One day, in 1645, as she was knitting in an arbor by the garden gate, when suddenly fell into a fit. They carried Anne into the house and put her to bed. She lay unconscious for some time, and it was feared she would die. When she finally came to her senses, Anne told all and sundry a fantastic story. Mistress Jeffries related to all who would hear how she had heard a rustling in the undergrowth but assumed it was a young man who was sweet on her, so she called out to him. But it was no beau he was in the brush. Anne heard a tinkling sound followed by a musical laugh, then the sound of the gate opening and shutting as six little men all dressed in green came through the garden gate. She related that the six little men were all quite beautiful. One, with a red feather in his hat, spoke in tender tones to her. Unafraid, Anne reached out her hand and he clambered onto the palm of her hand and when she lifted him onto her lap, he boldly ascended her torso and began kissing her neck. The other imps followed suite; then one of them put his hands over her eyes (how big was he? ), and everything went dark. Apparently their size might vary at will. The next thing Anne knew she was swept up into the air and flew to a land far away; opening her eyes, she was Fairyland. Like Alice in Wonderland, Anne found that she had shrunk in size and she was now the same size as all the wee folk, as well as being clad in their colorful clothing. She later gave a detailed description of this Fairland; it was a realm filled with temples and palaces of gold and silver, bright colored exotic birds and flowers, fish of glittering silver and gold. All about were gaily clad folk dancing, prancing, or strolling through the verdant scenery. According to Anne, one of the Pixies had an amorous interest in her. Anne was surrounded by her six friends, but of the six the one with the red feather made her his chosen beloved. They managed to steal away together and while Anne was discreet in her description of his intent, the suspicion is his interest in her was more than platonic. Suddenly the other five barged in, followed by a loud crowd. Her pixie lover drew his sword to defend her, but he fell at her feet wounded. Then the pixie who had originally blinded her again place his hands over her eyes, and once more she was carried up into the air, finally finding herself on the floor of the arbor surrounded a crowd of concerned friends. The journey to Fairyland apparently had lasting effects. Anne soon found she now possessed the powers of clairvoyance and healing, with the first person to be healed being the mistress of the Pitt household. Anne became very religious and as fame of here healing powers spread, folk came to her for treatment from as far afield as Land’s End and London. She also appeared to be able to exist without human food. The son of the family, Moses Pitt reported that she forsook the family victuals and was fed by the fairies from harvest time to Christmas. Unfortunately, she developed her power of prophecy at the height of the Puritan Revolution. One of her prophesies foretold of the King’s ultimate victory, and the humorless Puritans had her arrested and committed to prison in 1646. The Puritan magistrate ordered that she not be fed, but it didn’t seem to affect her at all. In 1647 she was detained in the house of the Mayor of Bodmin and still was not fed; but in the end she was released unharmed. 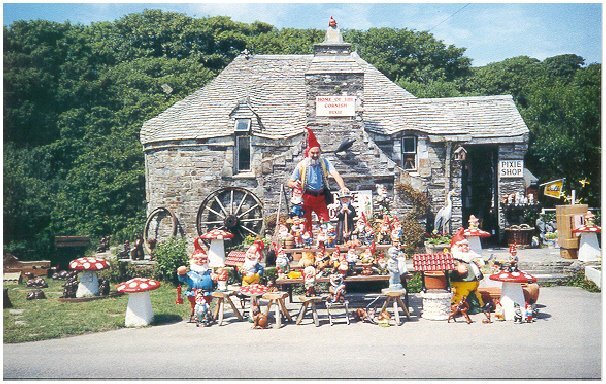 At the Pixie House in Tintagel, Cornwall one can stock up on all things Pixie related. Anne Jeffries case was in unusual in many respects, not least because her prophecy of the return of the King came true. Some may doubt that Anne was abducted by the wee folk and that she actually visited a magical Fairyland. But then strange things happen when pixies are involved, and Cornish pixies are stranger than most. 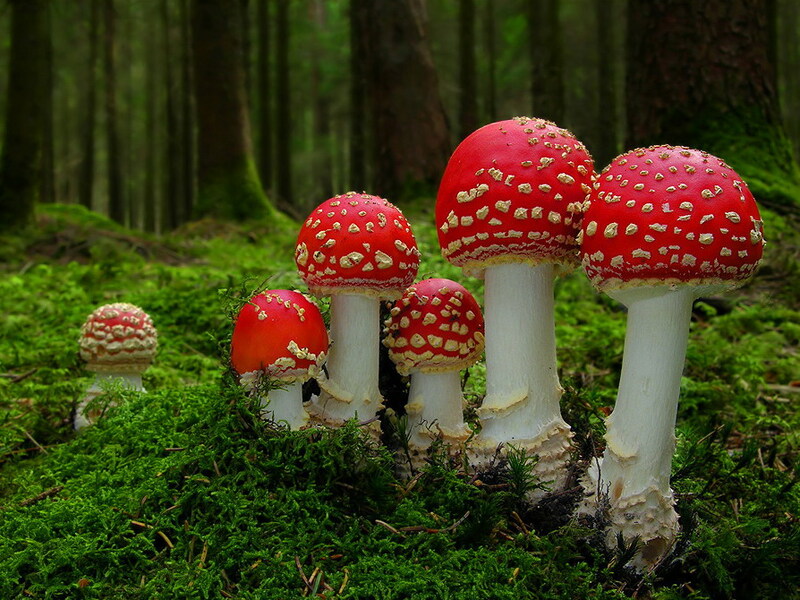 Red Amanita Muscaria mushrooms are traditionally associated with fairies, elves and pixies. Magic mushrooms indeed! Katherine Bruggs, in her classic Dictionary of Fairies (1976), relates this and other Fey tales of the Fair Folk. 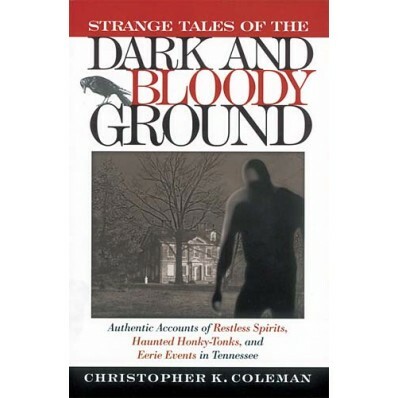 For many uncanny accounts from this side of the Atlantic, read Strange Tales of the Dark and Bloody Ground and Dixie Spirits!